Commander Jeff Williams and Flight Engineer Kate Rubins are two days away from their second spacewalk in as many weeks. The duo are reviewing the tasks they will perform outside the International Space Station for 6.5 hours of maintenance work beginning Thursday at 8 a.m. EDT. Japanese astronaut Takuya Onishi will assist Williams and Rubins from inside the space station. They will retract and cover an out-of-service thermal control radiator and install lights and a high-definition camera for better views of the station structure and the Earth below. If time allows, the spacewalkers will perform get-ahead tasks including photographing the condition of the Alpha Magnetic Spectrometer. In the Russian segment of the station, the three cosmonauts concentrated on a variety of human research experiments and crew departure activities. Flight Engineers Alexey Ovchinin and Oleg Skripochka collected blood and saliva samples to explore how bones and the immune system are impacted by living in space. The pair also practiced an entry simulation drill today inside the Soyuz TMA-20M spacecraft they will return home in with Williams on Sept. 6. 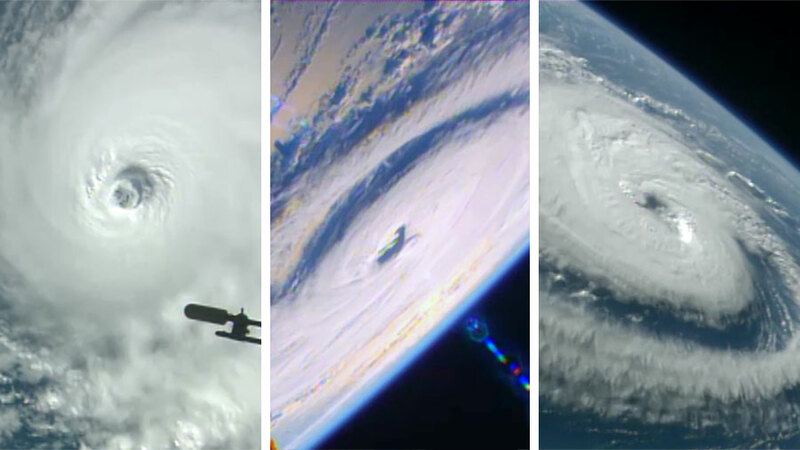 The space station cameras spotted three hurricanes today, two in the Pacific Ocean and one in the Atlantic Ocean. Hurricanes Lester and Madeline were seen in the Pacific potentially threatening the big island of Hawaii. Hurricane Gaston was seen in the open Atlantic. Wow! What about the diameter of these hurricanes? Go Kate Rubins and fellow astronauts. Do it well and do it safely. From retired Napa resident Richard Bruns. Proud of you!